Fundamental human rights are protected in Article III (the "Bill of Rights") of the 1987 Constitution of the Republic of the Philippines. Under Section 1 of this article, “No person shall be deprived of life, liberty, or property without due process of law, nor shall any person be denied the equal protection of the laws”. In addition, the article contains a general guarantee against unreasonable searches and seizures. A prohibition on torture is applied to those under investigation--but not more broadly--while a proscription of cruel and unusual punishment governs those convicted of an offence.Art. III, ss. 12(2) and 19(1), 1987 Constitution of the Philippines.There is no general prohibition on all forms of inhumane treatment of persons. The Constitution provides for the creation of a national police force, to be administered and controlled by a national police commission. It is provided that the authority of local executives over the police units in their jurisdiction shall be provided by law.Art. XVI, s. 6, 1987 Constitution of the Philippines. * On 17 March 2018, the Government of the Philippines announced that the Philippines was withdrawing from the Rome Statute. The Philippine National Police (PNP) is the primary law enforcement agency in the Philippines. It was established under Republic Act No. 6975 and is empowered by Section 24 to use force in making arrests and investigation and prevention of crime. Under the Revised Penal Code and the Philippine National Police Operational Procedures, the PNP must generally issue a verbal warning before it can use force against the offender. Furthermore, it is only allowed to use such force as would be necessary and reasonable to overcome resistance put up by the offender; subdue the clear and imminent danger posed by him; or to justify the force/act under the principles of self-defence or defence of others. On the use of firearms, it is only justified if the suspect poses an imminent danger of causing death or injury to the police officer or other persons. However, self-defence can only be used by officers when there is a real threat to their life and where the danger sought to be avoided is imminent and real. violent or threatening, and that less physical measures have been tried and deemed inappropriate, a more extreme, but non-deadly measure can be used such as baton/truncheon, pepper spray, stun gun and other non-lethal weapon to bring the suspect under control, or effect an arrest. There are four types of direct police oversight mechanisms. There is a national human rights body (the Commission on Human Rights of the Philippines), an anti-corruption agency in the form of the Presidential Anti-Graft Commission, a national ombudsman programme, and a specialised police complaints organisation, the People’s Law Enforcement Board (PLEB). The PLEB, which was created by Royal Act No. 6975, has jurisdiction to hear citizen complaints against the police. There must be one PLEB covering every municipality and/or district in a city, and a minimum of one PLEB per 500 city/municipal law enforcement personnel. 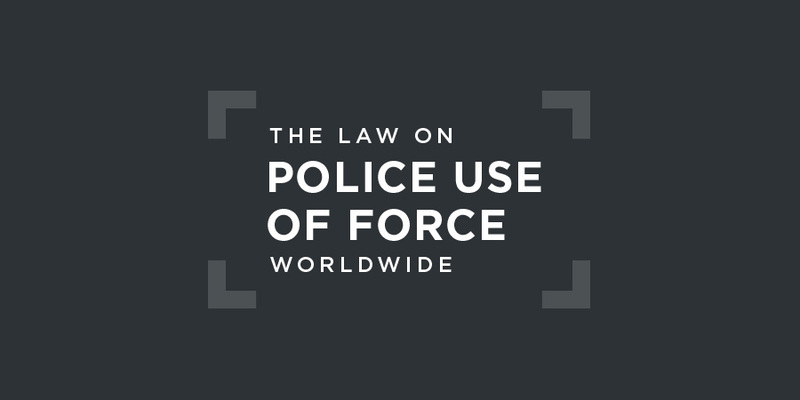 In February 2018, the Prosecutor of the ICC, Fatou Bensouda, announced the opening of a preliminary examination into the use of force by the police in the Philippines. This use of force might amount to crimes against humanity. In August 2018, activists and families of eight victims of the Philippines’ “war on drugs” filed a further complaint with the ICC, alleging President Rodrigo Duterte of murder as a crime against humanity. In 2016, in its Concluding Observations, the Committee against Torture called on the Philippines to establish an independent body receive and investigate complaints regarding torture and ill-treatment by law enforcement officials. It expressed concern at concurring reports that many detained suspects were said to have been subjected to torture and ill-treatment with impunity and further that there were numerous reports of confessions extracted under torture and ill-treatment by law enforcement officers. It is also concerned at the reported shortage of police officers and the lack of capabilities to conduct investigations. There is no regional human rights court with jurisdiction to review police use of force in the Philippines. In November 2018, three Philippine police officers were found guilty of the murder of a teenager, the first such convictions since President Rodrigo Duterte's "war on drugs" began. A court sentenced them to up to 40 years in prison each for the killing of 17-year-old Kian Delos Santos in 2017. In this case, a robbery suspect had grabbed a policeman's gun from him and tried to escape from police custody. The suspect was shot by the accused policeman. It was held that a policeman in the performance of duty is justified in using such force as is reasonably necessary to secure and detain the offender, overcome his resistance, prevent his escape, recapture him if he escapes, and protect himself from bodily harm. Since a police officer is duty bound to overcome the offender, the force exerted by the policeman may differ from that ordinarily allowed in self-defense. The Court held, however, that a policeman is never justified in using unnecessary force or in treating the offender with wanton violence, or in resorting to dangerous means when the arrest could be affected using lesser force.